37 EMAILS IN THREE DAYS. wOW. I WOULD LOVE TO WIN IN ALL. I WOULD BUY A HOUSE AND INVEST IN MY FAMILY AND MAYBE TAKE A NICE TRIP. Yes I will be waiting for the Prize Patrol on Aug. 31st. Looking for them, Thank You PCH! WIN $15,000,000,00 FROM PCH GWY,NO,8800 ON AUGUST 31ST. It would be a true blessing to win the $15,000,000.00 prize. I am entering to win. PCH I would like to claim the opportunity to claim my entry to win the $15,00,000.00 Summer Prize 31st August. Hope to see your Elite Patrol Team soon. LOOKING TO WIN PCH GWY NO. 8800, $15,000,000.00, THE PRIZE OF A LIFE TIME, DURING THE EARLY LOOK THAT PCH WILL BE LOOKING AT. GWY 8800, want to win more than anything it would help me pay off my debts but als help my two children and their family too. I have been with you so many years now, this will be my first I have ever won anything, pray you will pick me,Thank you PCH. Clint Henderson August 5 2017 i wish that prize patrol could knock on my door and tell me i just won 15 million dollar summer prize event on August 31. I’m still searching to win the $15,000,000.00 from PCH. I’m hoping that the Prize patrol stops at my house with the sweet, wonderful, gift from PCH. What joy would come to my life to know that I was the winner. Never won anything, never been lucky to win, so this would truly be a wonderful gift for me after all my years. Not many left, time is flying by quickly. So to win would truly be a great and wonderful gift that I have had in my lifetime. YES, PCH IWANT TO WIN THIS GWY OF $15 MILLION SUMMER SUPER PRIZE ON AUG 31 2017. AND HAVE KTBS CHANNEL THERE. TO SEE YOU AND ME. HOPE TO SEE YOU REAL SOON ! THANK YOU PUBLISHER CLEARING HOUSE. I AM VERY ,VERY EXCITED! TAKING CARE OF THE THINGS I HAVE BEEN WANTIN ON TO TAKE CARE OF. BUYING THINGS, ETC: THIS IS AWESOME! I AM ESTATIC,EXCITED. THANK YOU PUBLISHER CLEARING HOUSE. Yes Prize Patrol it’s me Rickey entering again to win on August 31th for Giveaway#8800; $15,000,000.00 for life. Yes I said all this before repeating myself because i want to win and meet The Prize Patrol Team in Jacksonville Florida at the McBride house. Yes I will keep entering until i win on August 31th. Thanks again PCH and Prize Patrol God Bless. Yes I want to win Giveaway#8800; Thanks again PCH and Prize Patrol. I wish I could be the winner of the 15 million summer prize giveaway # 8800 . I have never won anything un my life. It would be a dream come true. PLEASE COME KNOCKING ON MY DOOR AND MAKE ALL MY DREAMS & PRAYERS BE ANSWERED TO WIN THIS BIG PRIZE PLEASE PLEASE . Yes I am waiting to see my name of the winner on August 31st. I would love to be the winner. Thank You PCH! I put my soul,my heart and my energy to win $15,000,000.00 from PCH Gwy #8800 A LIFETIME PRIZE on August 31st! “Winning is Sharing” and “Sharing is Winning”. And i strongly believe in those words to do something good for others. Thank you for giving me endless possibilities! YES! YES! I want to CLAIM and WIN the $15 Millions Summer Prize Event on August 31st! PCH Giveaway No. : 8800. And have the PCH Prize Patrol Elite Team to come to my front door with the “BIG CCHECK” in hand. Also have the $1,000,000.00 CASH In hand too. Per Todd Sloane, Senior Vice President, this is the VIP Award per his phone call. YES I would like to CLAIM IT ALL On August 31st! I really want to win.15 million gwy 8800. If I won I could get my life back in order. Get collection agency off my back. I will be really blessed. Prize Patrol please come visit me. Fermin Marengo from West Melbourne, Florida, submitting entry to claim now for a chance to win $15 Million SuperPrize – Giveaway No. 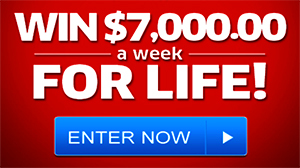 8800, or $1,000,000.00 SuperPrize – Giveaway No. 8035, or $100,000.00 prize – Giveaway No. 8186, or $25,000.00 prize – Giveaway No. 8184 or $10,000.00 from Giveaway No. 8187. Please, accept this entry form and make it happens for me and my family and friends. I want to win it all this summer event! If I were lucky enough to win the super prize on August 31st, giveaway no. 8800 for $15,000,000.00, I would help my kids, make sure my grand daughters are taken care of for their college education, help out my friends, my church and my charities. if dreams can come true my dream has always been to win the pch and travel and help out my family. hope you can help my dream become a reality..thank you for the chance. Please I’m here again claiming for another chance to enter to win PCH GWY NO. 8035 from PCHFrontpage. Am I punished? There are 3 or 4 of my previous comments “awaiting for moderation”._ 3 of them from July( previous contest). Please I’m here again claiming for another chance to enter to win $1,000,000 Gwy 8035 from PCHFrontpage. Here..a little disappointed when I saw 3 of my comments from July still ” awaiting for moderation”…Well, please ..I’m here claiming another entry to Gwy 8035 $ 1,000,000 from PCHFrontpage. I would like to be the winner of the prize of a lifetime, THANK YOU and smile its healthy. PCH Search now $15 Million Summer Prize Event @ PCHSearch&Win to Win PCH $15 Million Superprize on August 31, 2017 (GVWY. No. 8800) to Win $15,000,000.00 MILLION PRIZE OF A LIFETIME On August 31st,2017. 1) Search Now to win @ PCHFrontPage $1,000,000.00. Thanks. I had another cancer treatment today there will be another end of August one in September and the end first of October.So I would be really ready to kick up my heels .The $15 Million would help that. I want to claim $15,000,000.00 for a lifetime from PCH Gwy No.8800 on Aug.31th! GIVEAWAY #8800 chance to Win . FERMIN MARENGO FROM WEST MEBLOURNE, FLORIDA SUBMITTING ENTRY TO WIN PCH SUMMER PRIZE ENVENT, SUPERPRIZE FROM GIVEAWAY NO. 8800 OF $15,000,000.00 TO BE HELD ON AUGUST 31ST, 2017. I WANT TO WIN SO I CAN DO A LOT OF GOOD FOR LOTS OF FAMILY AND FRIENDS AND ALSO TO SOME PUBLIC FACILITIES LIKE ST. JUDE HOSPITAL AND OTHERS. I ALSO WANT TO BUY THE CAR I ALWAYS WANTED, THE HOUSE MY WIFE WANTS AND HOUSES FOR MY SON AND DAUGHTERS. I WANT TO BE FREE OF BILLS AND FISCAL RESPONSIBILITIES. THANK YOU PCH! Clint Henderson august 4 2017 i claim 3 entries to win 15 million prize of lifetime on August 31. I want to claim the 15 million dollar prize, because I can use it for my tuition. I do not make a lot of money. Yes I want to win the $15 Million Prize of a life time. It would really come in good for me and my family. Thank You PCH! I LOOK FORWARD WITH EXCITEMENT TO THE AUGUST 31,2017 #8880 LIFE- CHANGING. PRIZE. YEES, PCH I WANT TO CLAIM FULLY GWY8800 $15 MILLION PRIZE OF A LIFE TIME. AUG 31 2017 IT WILL BE AWARDED TO THE WINNER. PAYMENT OF $8,475,000.00 IT WILL BE ANNOUNCED ON AUG 31 ON TV. I PERSON WILL RECIEVE $225,000.00 FOR 29 YEARS. I CAN ONLY IMAGINE THE THING I WILL BE ABLE TO DO WITH THAT MUCH MONEY.I WILL PUT ( $ 15 MILLION SUMMER SUPER PRIZE) IN THE BANK THEN START DISTRUBIN IT OUT.TO THE ONES I MENTION ST.JUDE,CHURCH, MISSIONAY IN HUNDEROUS COUNTRY WE SEND CHICKENS,PIGS, SO THEY WILL HAVE FOOD, LAMBS,ECT:,BY SENDING ANIMALS. OUR LOCAL SCHOOLS OF KIDS ON THE EEK END THAT WANT HAVE FOOD. AND MY FAMILY. THAT SHOULD TAKE CARE OF IT ALL. I am looking forward to this incredible, life-changing WIN! I claim my entry into the Summer prize event for $15 Million. and be Financially set for life. $10,000 A WEEK FOR LIFE. PCH, hi enter me to win please I have searchbthd $15,000,000.00 summer prize event gey#8800 and activation code PC551, and u could pay my debts and help family and friends to do that too , I will love to win and is my birthday this month too I never win anything in my life but it will be great to be avlo to pay what I owe and send my daughters to the university since one of them stop because of the money and she loves to finish her career and the other one didn’t even started… thx you PCH god bless all of you. YES! I sure hope that I make the Winner List this time and win the $15,000,000.00 Summer Prize Event on August 31st! PCH Giveaway No. : 8800. Yes! I want to Win the Summer Prize Super Prize this time, so I hope the PCH Prize Patrol Elite come to my front door with the “BIG CHECK”! very easy to enter could Win a Cash Prize! PRIZE AND ALL other Prizes. LIST $15,000,000.00 Summer PRIZE EVENT Giveaway8800. Yes enter me in to win the $15,000,000.00 Dallas prize #8800 at Publisher clearinghouse. I would love too win I could do so much in the world and help the kids that don’t have home to go to. Because most the time the foster parent help be there aren’t enough to go around.Because I want to keep the family together because they don’t what older children so they get move around. They need to be together. I am back telling you that , yes; My love ones and myself would have a feast as big as the prize as soon as it get to be in my posecion; all of you will be invited as well. Yes Prize Patrol it’s me Rickey entering again to win on August 31th for Giveaway#8800; $15,000,000.00 Thanks again PCH and Prize Patrol God Bless. Yes I’m repeating myself because i want to win on August 31th. Yes Prize Patrol it’s me Rickey entering again to win prize of a lifetime $15,000,000.00 on August 31th for Giveaway#8800.Yes I want to win and yes i will keep entering until i win on August 31th. Thanks PCH and Prize Patrol God Bless. Yes I’m repeating myself because i want to win and meet The Prize Patrol Team in Jacksonville Florida at the McBride house. Yes I said all this before because i want to win on August 31th. PCH, YES, I WANT TO WIN THE GWY8800 $1 MILLION SUPER PRIZE DREAM HOME AUG 31 2017. PLUS THE $15 MILLION SUMMER PRIZE LIFE TIME EVENT. ALL THIS ON AUG 31 2017. THANK YOU, THANK YOU PUBLISHER CLEARING HOUSE. Hello my best friends PCH. I’m looking forward to have this opportunity to claim this once in my lifetime, to become the winner for $15,000,000.00 summer prize event on August 31st GWY no. 8800. Please if you guys will consider to crown me the winner. That’ll be very nice, wonderful. I tends to help other people with this kind of money. Also help my brother that discovered the medication that cures HPV. That cures civically cancer. He is a medical Dr. He is looking for sponsors to help him manufacturing his drug. Thanks a million PCH. God bless you guys for me. Hopping let’s fight and use that kind of money to save life. Thanks again. I’ve searched today GWY# 8800 to win the $15,000,000.00, and I want to win. PLEASE HELP ME TO MAKE ALL MY DREAMS COME TRUE LIKE ONLY YOU AT PCH CAN DO ,I WILL FIRST BUY A NEW HOME ,I HAVE MADE SO MANY PLANS IN MY HEAD PLEASE COME KNOCKING ON MY DOOR ON AUG,31 . I am claiming my entry for the $15,000,000.00 prize summer event. I hope to see the prize patrol crew. PCH, yes I would be very true honored to win August 31, 2017 giveaway 15,000,000.00. But whoever wins,8800 sweepstake contest, it would be a truly happy day. Yes, I want to Win $15,000,000.00 Prize. Thanks for the opportunity. So, I hope to see the Prize Patrol pull up at my home. Pchfrontpageclaim win $15,000.000.00 summer prize Event Giveaway Superprize prize of a Lifetime special Early Look GwyNo8800 August 31st! WoW! Did that ad say win $15,000,000. And a new Lincoln? Gees, I would love to either have a car or the money to buy one! Both!?! I can’t even imagine! I WOULD BE SO READY AND HAPPY TO MEET AND GREET YOU AT MY FRONT DOOR WITH HUGS FOR EVERYONE AND PROABLY A FEW TEARS OF HAPPINESS FROM ME. I THINK YOU KNOW THAT I WANT TO WIN BIG, IS WHY I AM TRYING SO HARD. Please PCH Search Now To Enter To Win @ PCHSearch&Win from PCH GVWY. No. 8800 to Win $15,000,000.00 MILLION PRIZE OF A LIFETIME On August 31st, 2017. I would like to WIN THE SUMMER PRIZE EVENT $15,000,00000 #gwy 8800 ON AUGUST 31ST. Please help me out of my poor situation into a better life before my time is up. I would like to WIN THE SUMMER PRIZE EVENT $15,000,00000 #gwy 8800 ON AUGUST 31ST. Yes I would love to win $15 Million Prize On August 31st. It would really be a blessing to me and my family. Thank You PCH! Summer Prize Event! PCH Gwy.No.8800. Yes I Want to win $15Million prize of a life time so I can buy the house my family needs. Thanks PCH Prizes Patrol see you soon! Entering PCH gvwy 8800 is so exciting. Plans for $15 million plus more on Aug 31 would be a dream come true. Could help so many causes and happiness to many. Yes I Want to win $15,000,000.00 prize of a life time with PCH thanks PCH Prizes Patrol see you soon! AMD SUPPORT OUR CHURCH AND COMMUNITY. $56,000 DOLLARS ON TRYING TO MAKE MONEY ON THE INTERNET. HELP BE TO FEEL LIKE CAN LIVE OUT MY LIFE OK!! I would be very grateful to PCH if I won the $ 15 MILLION SUMMER PRIZE EVENT on August 31st. Clint Henderson July 25 2017 as i look back at my life if i win 15 million prize of lifetime for search 3 iwill very glad. WINNING THE SUMMER EVENT of $ 15 MILLION would take a burden off my shoulders. So I’m hoping to see PCH on AUGUST 31st. Hope I’m lucky this time. pch yes iwant to win it all. ….thank you pch BR. ….. Yes PCH I’m back trying to WIN $15 MILLION SUMMER PRIZE EVENT come AUGUST 31st. Keeping my fingers crossed so PLEASE don’t let me down. Thanking you in ADVANCE. Yes Prize Patrol it’s me Rickey entering again to win on August 31th for Giveaway#8800; $15,000,000.00 for life. Thanks again PCH and Prize Patrol God Bless. Yes I want to win and yes I will Love to meet The Prize Patrol Team at the McBride house in Jacksonville Florida. I would love to claim the #8800 give way on August 31st to win $15 million dollar summer prize event. Search 3 Í would love to win please activate my entry ,I claim 3 entries to win Summer prize event $15 Million Prize of a Lifetime from PCH gwy No.8800 during This Special Early Look Event on August 31st Thanks and God bless you all. 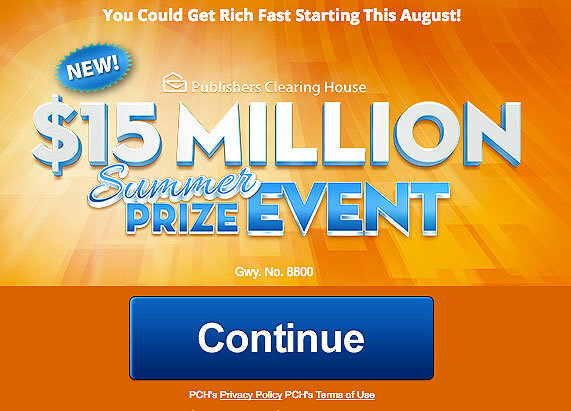 I DO want to win the Summer Prize Event of $15 Million from PCH GWY 8800 on August 31. Yes!!! Search 2, PCH accept my chance I claim 3entries to win the Summer prize event $ 15 MILLION Prize of a Lifetime from PCH gwy No.8800 during this Special Early Look Prize Event on August 31st Thanks PCH Sweepstakes and Prize Patril. many people or group that need financial help to continue providing for homeless, poor students who want to get education, hare cliff kids , veterans , etc . I am claiming the Summer Prize Event of $15,000,000.00. For the second search and win. I WILL DO GREAT THINGS WITH THE PRIZE OF A LIFETIME $15,000,000.00 IF MY NUMBER IS CHOSEN. Hello PCH & Prize Patrol. I’m here to activate my chance at that nice $15,000,000.00 Superprize Gwy #8800 and all other monies and prizes involved. #8186, #8187,#6900. Please let it be established that I Tina M. Hoffmeyer will win that Summer Superprize for my family. For to help pay off all my medical expenses that seem to keep adding up. As well as my 4 kids and 2 G- babies. You know what I am looking for some (goodtimes) and sharing with others if I was lucky enough to win that $15Million. I have along list of people that I would help. I’ve searched GWY# 8800 for $15,000,000.00 with pch today, and I want to win. Will I celebrate? Just show up at my door and you’ll see a celebration. I would love to win it all. I would buy a house and invest in my family and maybe take a nice trip. Clint Henderson July 25 2017 i have so many things to do if i win 15 million prize of a lifetime. YES! I would like to claim my 2 Extra Changes to win the $15,000,000.00 on August 31St! PCH Giveaway No. : 8800. Good morning PCH, please, l’m claiming to be the winner for $15,000,000.00 summer prize event on August 31th GWY no 8800. Please l’m looking forward see you guys, my best friends. Please l need to win something big to help , and help others. Thanks may God bless you guys for me. Signing in for interest in winning the $15,000,000.00 from PCH on August 31, 2017, giveaway #8800. Ready to win and win it all, including $50,000.00 cash giveaway #8186 and $15,000.00 towards a much needed vacation giveaway #8187. Good morning everyone, putting in my search to let PCH know that I am ready and want to win the Summer Prize Event of $15,000,000.00 on August 31, from Giveaway #8800 and willing to accept the bonus gift of $100,000.00. I am ready to win. FERMIN MARENGO FROM WEST MELBOURNE, FLORIDA ENTERING TO WIN PCH $15 MILLION SUPERPRIZE EVENT PCH GWY. NO. 8800. I STAND TO RECEIVE $225,000.00 FOR 29 YEARS AND A FINAL LUMP SUM OF $8,475,000.00 IN THE 30TH YEAR. I WILL BE EXPECTING TO SE THE DRAWING WINNER ANNOUNCEMNT THAT WILL BE ON AUGUST 31ST, 2017 ON NBC TV CHANNEL. PLEASE, ACCEPT THIS AS MY ENTRY TO WIN $15,000,000.00 PRIZE OF A LIFETIME! THANK YOU PCH! I have not dreamed about winning the super prize but I have day dreamed about it. To win that kind of money would be the ultimate dream, day or night. I would love to win and to share it with my kids. I’m looking forward to August 31st and your giveaway no. 8800. Thank you for every opportunity to win PCH 3x Entries And thank you for considering me VIP. I want to be in the top 1%. I am having phone trouble. My data is moving slow. I like participating in everything. I would like to win the $15 Million as I will only have 2 more treatments for my cancer.I would be able to make so many people very happy even myself.I would be able to give to charity I have several groups I give to now.So come PCH. Searching to win 15,000,000.00 A Lifetime Prize PCH Gwy No.8800 on August 31th . I Pray it happens!! Please activate and enter my entry to win bonus for prize gwy# 8800 I would love to win I thank you very much. It sure would make my day and year a lot better to meet you all at my front door on August 31st with a super prize, as I really want to win. Also it would be like a birthday party with a wonderful present. I REALLY WANT TO WIN YOUR SUMMER PRIZE EVENT. CONGRATS!!! to winner if not me. Please enter me in the 15,000,000 zweepstakes. I really need to pay bills, build a house, new car and help the needed.